There’s no shortage of jaw-dropping moments in Hubert Sauper’s new film, “We Come as Friends,” an illustrated essay on contemporary colonialism. 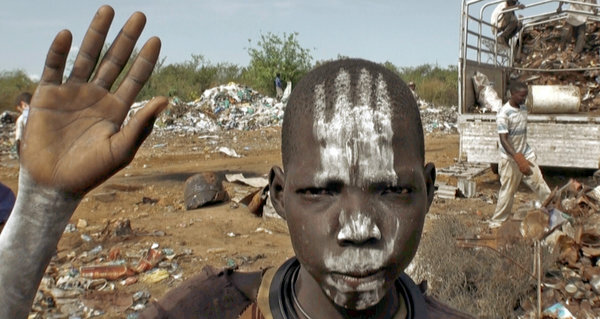 But the most haunting may be a lightning-streaked nighttime visit to a South Sudanese tribal leader. Mr. Sauper brandishes a copy of a contract to confirm a terrible truth, and the leader’s moistening eyes and dejected bearing say everything. The old man has signed away hundreds of thousands of acres of land to a Texas firm. It’s one example of how Mr. Sauper, the Austrian-born director of “We Come as Friends,” portrays complicated contemporary realities through vivid and industrious reportage. 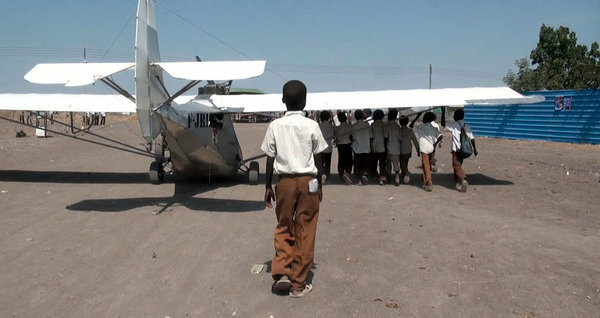 Ten years ago his Academy Award-nominated documentary, “Darwin’s Nightmare,” sifted through the wreckage of globalization by way of the fishing export industry in Lake Victoria, the impact on local Tanzanians, and a fast-and-loose subculture of Russian cargo-plane pilots. Mr. Sauper’s nonfiction films are an elegant hybrid of voracious, colorful portraiture and nervy investigation. “We Come as Friends” was ranked among the best of nonfiction in 2014 by the British Film Institute’s Sight & Sound magazine and reaches American theaters on Aug. 14. He visited a cross-section of people, all part of history unfolding for better and worse: Sudanese losing their homes to rapacious development and war, confident Chinese engineers affirming their country’s superpower destiny, Texas missionaries working to clad villagers in socks and other clothing, and a warlord turned politician who can’t remember the national anthem. The plane afforded a rapid means of exit from all this when necessary, as well as being a potent metaphor for all-access Western influence. 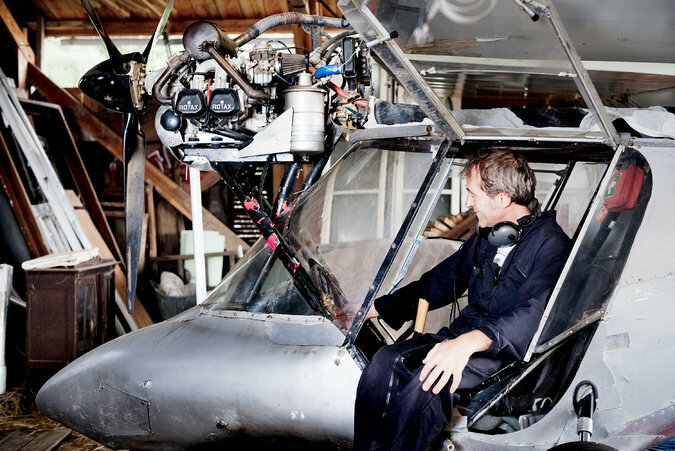 (He keeps the craft at his farm in France, complete with airstrip.) Far from a pitying superficial travelogue, Mr. Sauper’s film gives a rare sense of human beings bearing the brunt of greater historical forces and powerful interests. He depicts a clash between indigenous cultures and wildcatting foreigners that has a long history in Africa. Mr. Sauper, who studied film in Paris, traced his deep-seated attraction to the collision of cultures back to his childhood in Austria. Raised amid picture-perfect mountains, he hung around his parents’ inn as a boy. Mr. Sauper spoke of his childhood and his journeys in the same warm, amiable tones of a dinner-table conversation, with the Paris dusk falling gradually behind him in the Skype interview. But “We Come as Friends” entailed no small amount of risk. Masked gunmen, malaria, a broken propeller and parasites that sidelined him to a wheelchair were among the hazards. More trouble may be yet to come, if experience is a guide. After “Darwin’s Nightmare,” Mr. Sauper said, he and associates faced threats from the Tanzanian government and spent three years dealing with court cases. “I was attacked in France by an obscure group of people for having made a fiction film and sold it for millions as a documentary,” Mr. Sauper said of one effort to denounce his 2004 film as staged. He was aided in his defense by the filmmaker Barbet Schroeder (“Terror’s Advocate”). After that ordeal, Mr. Sauper kept his plans for the next film as secret as possible, even when requesting financing. No less bold than “Darwin’s Nightmare,” “We Come as Friends” modulates its difficult subject matter with a faintly ethereal tone, part of a consistent aesthetic. The sense of Mr. Sauper as a man visiting from a “spaceship” — the plane is even named “Sputnik” — is a recurring motif, with the rise and fall of flight scenes punctuating the intimate interviews. Yet “We Come as Friends” is firmly rooted in reality. The “land grab” confirmed in the nighttime scene with the tribal leader has occurred frequently, in Sudan and elsewhere, said Anuradha Mittal, executive director of the think tank Oakland Institute, which has studied such issues. “It’s not one of a kind — it’s not a small trend; it’s widespread,” Ms. Mittal said of the kind of “resource theft” that Mr. Sauper depicts. All of which makes this intrepid filmmaker, both analytical and lyrical, hard to classify. Told of a film textbook that divides the history of nonfiction filmmakers into explorers, reporters, painters, advocates and so on, Mr. Sauper remembered the credit bestowed on a past collaborator, the writer Nick Flynn.